Premier League outfit, Liverpool are considering the possibility of signing Naby Keita this month. The 22-year- old is expected to join the Anfield club in the summer for a reported £48m, but following the sale of Phillippe Coutinho to Barcelona, Jurgen Klopp wants the midfielder to come in this winter, though his club, RB Leipzig have stated that their stance has not changed. Spanish outfit, Barcelona finally completed the signing of Brazilian international Coutinho in a mammoth £146m deal, and Klopp wants box-to- box Keita to replace the nimble footed attacking midfielder. He will officially join Liverpool on July 1 as The Reds triggered a release clause in his contract last summer. Prior to the transfer of Coutinho, Klopp had ruled out trying to bring Keita in this month, though it seems his stance has changed in the face of Liverpool competing for The Champions League. The German side, however do not want to lose the former Salzburg midfielder this month, as they are still in the running for a Champions League place in the Bundesliga and are also looking at winning the Europa League as they are in the Round of 32. 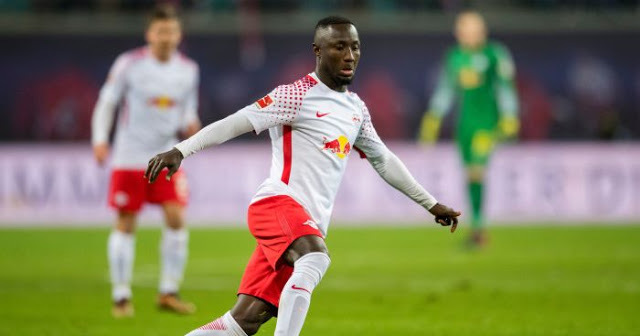 Reports in German media suggest that Keita has lost his standing in the Leipzig dressing room as he has lost motivation for playing for the Bundesliga runners-up. Keita at 22, us already one of the best midfield players in the world, as he offers defensive solidity and creative prowess in almost equal amounts. He has been compared as a mix of N’Golo Kante and Andres Iniesta, and will offer solidity to the often fragile Reds midfield.